Have you ever wanted to go and visit a place that features in a much-loved film or TV show? Perhaps you’ve deliberately sought them out. This year, after attending WorldCon in Dublin in August, I hope to be able to travel up to Northern Ireland for a few days and visit some of the castles and exterior locations used in the Game of Thrones TV series. 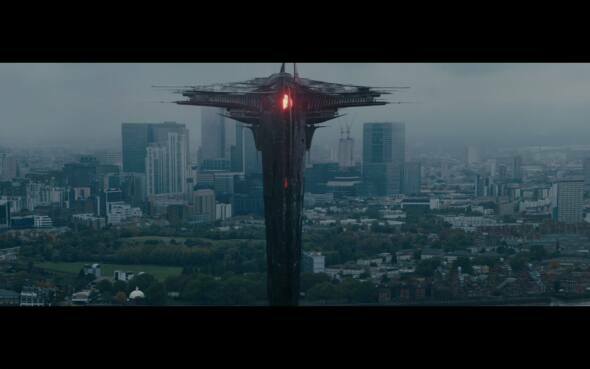 I’ve also accidentally found myself in film locations from time to time. 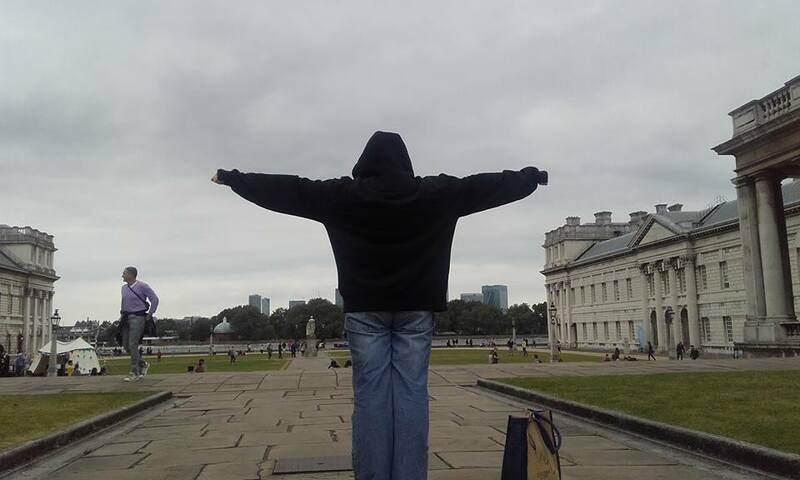 In 2016, my wife and I were in Greenwich in London and, rather than marvelling at the naval museum and the art galleries, I abruptly realised that we were stood on the exact spot where the dark elf ship crashed to earth in Thor 2: The Dark World. I immediately forced my poor beloved to do her best impression of said ship so I could take a photo of her. She puts up with a lot. But what about locations from books? I attended the Fantasycon convention in Scarborough a couple of years ago and on the day the convention ended, my family took a short trip up the coast to Whitby and the famous Whitby Abbey. 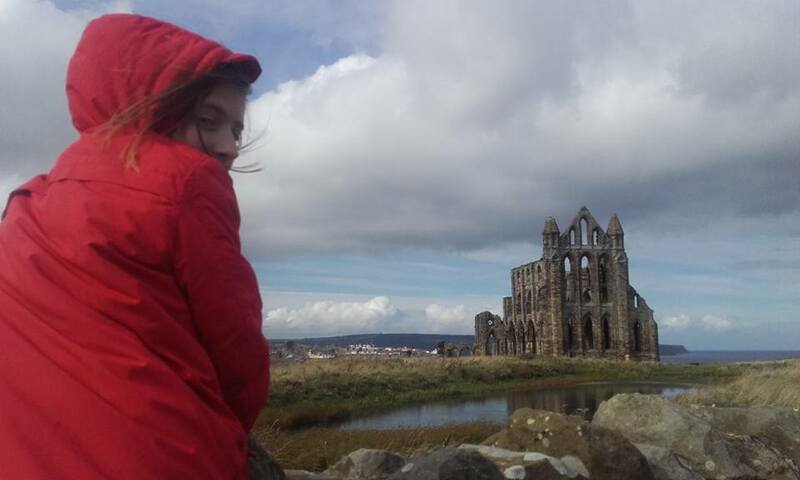 I asked my youngest (twelve at the time) what spooky character Whitby Abbey was associated with. She took one look and said, “Scooby Doo?” How was she to know? She hadn’t read Dracula and didn’t know the town’s strong if fictional link to that wonderful vampire tale. Whitby Abbey – FAMOUSLY associated with Scooby Doo. Our country plays a part in thousands of stories and, whether they know it or not, many towns, cities, hills and secluded spots have had pivotal roles in great tales. Heide and I feel that the landscape is at its most evocative and meaningful when used in tales of horror and stories of the supernatural. That’s why we’ve started a new on-line project which we’re calling the Horror Road Trip. We’re gathering together novels and short stories of horror and putting them on the map. Literally. Our aim is to create an interactive Google map full of pins and, at each one, we want to share an excerpt from the story and have the author tell us all a little bit about that location and what role in played in their story. Visitors to the on-line map will then only be a click away from ordering their own copy of the author’s book. Yes, it might be a little bit late for Bram Stoker to tell us why he chose Whitby for Dracula’s landing spot on this island but we think we will soon have a fascinating map of locations that have inspired some of the best tales in dark fiction. And who knows? Maybe one day Heide and I will leap in a little campervan and go on that dark road trip, following the trail of horror stories across the United Kingdom. Interested writers can contact us at info@pigeonparkpress.com for further details.